The 2016 LCS Summer Season rages on, we're back with a new edition of This Week in eSports! 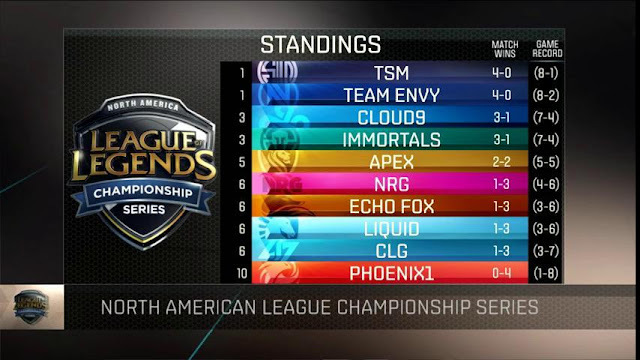 Continue reading for details on current LCS Spring Split standings, regional standings, various team & player news, roster updates, and more! 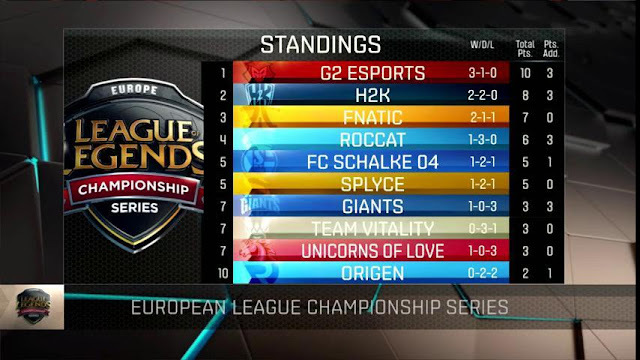 The 2016 LCS Summer Season is currently underway, and week two has just wrapped up! Friendly reminder that both EU & NA are running on different schedules than previous splits. The brackets and standings below are up to date as of Sunday, June 12th and, as always, VODs can be found here. [LCS] Due to lack of motivation, FORG1VEN will no longer be on the starting lineup of Origen for the remainder of the split. Until a replacement is found, xPeke will be taking his position. [LCS] Kikis has stepped down from the starting roster of G2 Esports, Expect will be taking his position. Personal statement from Kikis available here. [NA CS] Eve, Jungler for NACS team Apex Gaming, has been suspended for 10 months of competitive play due to using an illegal scripting program on the KR server. The full competitive ruling can be found here. Riot has put out a post sharing the viewership statistics for the 2016 Mid-Season Invitational. "Fans from all over the world tuned in for 119 million hours of live broadcast content (not counting rebroadcast viewership) - with over 202 million unique daily impressions. As with our Worlds 2015 numbers, this is calculated by taking the unique viewers every day and adding those numbers. At its peak, MSI had over 6 million viewers tuned in concurrently to take in the live action with an average of 2.3 million viewers tuned in simultaneously across the 8 days."